MATTHEW ASPREY GEAR is an Australian writer. His book At The End of the Street in the Shadow: Orson Welles and the City is now available from Wallflower Press/Columbia University Press. He is one of the founding editors of Contrappasso Magazine. His work has appeared in the Los Angeles Review of Books, Senses of Cinema, Bright Lights Film Journal, Crime Factory, PopMatters, Island, Extempore, and Over My Dead Body! Many of his novellas are available in chapbook and ebook formats. His 2014 novella, Dog City, appears in Crime Factory #16. In 2011 Matthew Asprey Gear graduated with a PhD in Media Studies at Macquarie University in Sydney. He has lectured on cinema and creative writing. He now lives in Edinburgh. Some of his work is published under the name Matthew Asprey. It’s all his. 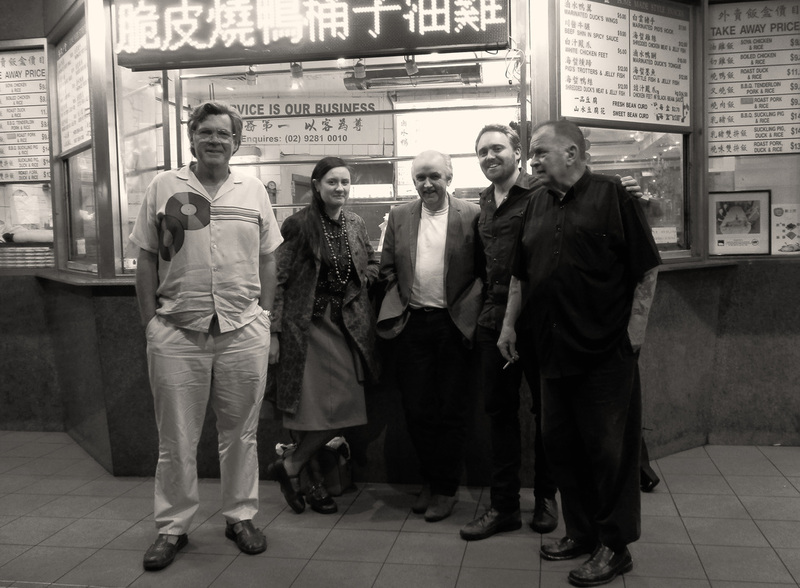 Matthew Asprey Gear (2nd from right) with Sydney writers (L-R) Clinton Walker, Vanessa Berry, Peter Doyle, and Ray Devitt. Photography: Simon Yates.